It's hard to believe that 31 days went by so fast! I absolutely loved being a Community Lead during the challenge, and connecting with a bunch of new blogs I'm falling in love with. I learned a lot, and I feel like I actually have a sort of plan for my blog for the first time! I am feeling a renewed energy and inspiration to write, and ideas have been popping up in my head like weeds. 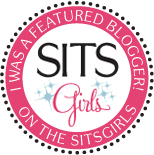 I'm also very excited because SITS announced the locations for Bloggy Boot Camp in 2011, and they're coming to Seattle! Yay! I really can't wait even though it's almost a year away. You can see all the posts I posted during the challenge by clicking here. If you want to revisit the BlogFrog posts, check out this awesome list - it links to the official posts for each day of the challenge. If you participated in the challenge and you haven't picked up your button yet, go here to get the official "I survived" button for your blog! If you weren't able to keep up the first time, but want to complete the 31 Days challenge, go to this thread on BlogFrog to hook up with some ladies who are planning to start on September 1. In honor of the end of the challenge, today I'm taking on another challenge from Darren at Problogger. Darren is the author of the workbook and the head honcho over at Problogger. He posted this 7 link challenge on his blog recently, and after seeing some other answers to it I thought it would be fun to do my own post! My first blog post was published in February 2005, called You Give Me Fever. This was posted on my original blog, which was later deleted when the hosting company it was on disappeared without a trace. My first post when I came back and started blogging regularly and as a serious pastime was in March of 2008, called My Secret Identity. One of my favorite Suddenly, You're Four. I am so often caught up in the day to day of living with a baby and a four year old, I don't always sit and have time to gaze into their being and the life I'm sharing with them. I wrote this post recently for Sam's fourth birthday, and I still can't read it without getting teary. I have not had a ton of discussion in my comments, which is another thing I'd love to try and improve, since one of my favorite parts about blogging is the community that comes out of it. I think the most discussion I've had was on my post 10 Things That Are Just NOT Okay. It was a fun one! Honestly, so many of these pop up in my reader on a daily basis! 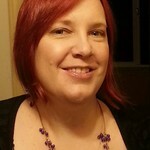 But two posts that really struck me recently were from Jenny at The Bloggess. The first was about The Traveling Red Dress, a beautiful dress she got just because she IS worth it. The second is a followup - Red Dress Revisited makes me cry every time I read it. I have not written a ton of posts trying to help (yet! ), but my recent post Your Blog, Your Work, Your Property: How to Protect Your Blog from Plagiarism seemed to get a really good response, and I think it helped people! I'm hoping to write more posts like this in the future. I sometimes struggle with my post titles because the one I want to use is often abstract, or a clip from the post and they are certainly not the best for SEO. Your Light Should Burn Forever is a post I wrote a while back about a friend who has been very sick. She is still with us, and she is fighting, but there's no cure for what she has. I like the post title because her light really does shine so bright and add something so amazing to the world. I don't write about my volunteering a ton, because I have to be careful about it. I volunteer for Domestic Violence and Sexual Assault Services as an advocate. I do mostly on-call, meaning I answer the phone after regular hours (9-5), and go to the hospital to be support if a sexual assault or domestic violence survivor comes in. I can't include anything that could identify anyone, and if I write about an experience at all, I have to publish it at a random time so it can't be associated with a particular date. I wrote this after my first experience doing a hospital call. It's called The First Time. Did you complete the 31 day challenge? How do you feel now that it's over? Do you have posts in mind for any of the 7 categories listed above - if so I'd love to read them! Wow, great 7 post idea. 71 comments on 1 post, that is awesome! I have never even come close to that! How wonderful you volunteer for a domestic/sexual abuse program. That is amazing. I am now inspired to go and do this!